Farmers are harvesting in northern Alberta. A season’s few warm months, with regular rainfall, have allowed northern farmland to produce and this year’s harvest holds promise … something extraordinary in terms of quality and quantity. In the year, we are at that point where the concept of harvest illustrates something of life and lives. Here, the ‘parable of the weeds’ being used to describe the kingdom of heaven in Matthew 13:24-30; 36-43 stands out; what captivates is that while the farmer has sown good seed and while he and his family sleep, an enemy intentionally sows weeds among the farmer’s wheat – a premeditated, vicious act aimed at dismantling a farmer’s livelihood. For the farmer, the end-state of harvesting the wheat he’s sown presents challenge because doing so will require that he allow the weeds to grow alongside the wheat until harvest, the weeds sharing the land’s nutrients, the weeds sharing the rain, and, the weeds sharing the sun. At harvest, this careful and patient farmer gathers each weed first, burns the weeds together and then harvests the wheat. This parable is used to describe the kingdom of heaven. That kingdom, the world we presently live in, contains those moving along in Life committed to God’s purposes and those opposing God’s purposes. 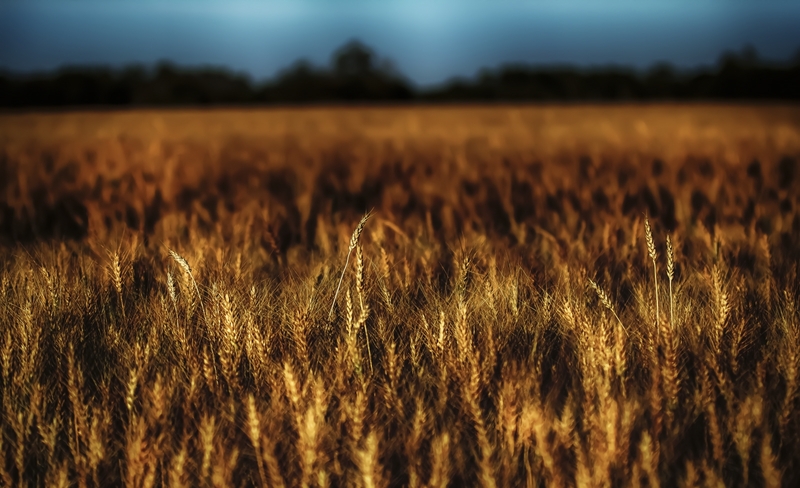 This kingdom parable becomes example of the lives that live alongside each other, the reality of the good and evil that is at play and the farmer’s careful harvesting hands. It points to each Life being lived out and the farmer discerning what each life has been about as each reaches the harvest. I love, love, love, the lighting in the top image! 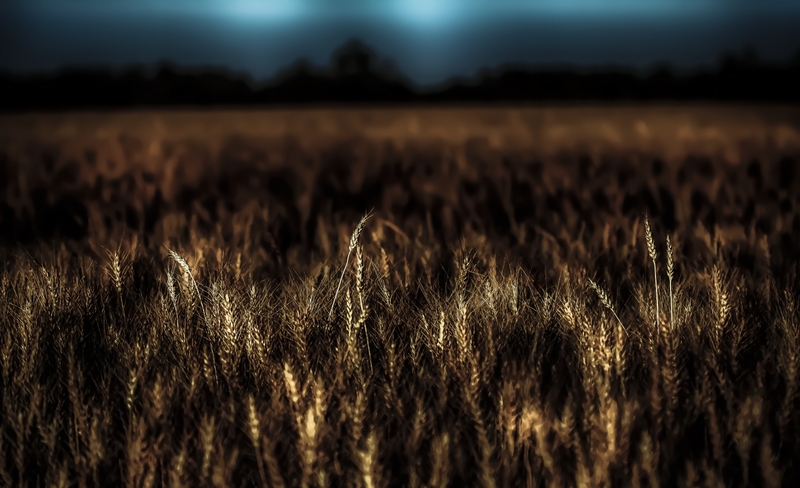 Depth of field was a starting point within this image; it helped isolate the seed-laden grain stalks, and, the blur ahead of and beyond the grain stalks darkened these areas within the frame; lighting of the grain stalks then popped. Heavy, leaning grain stalks seem to signify abundance and perhaps have done so for farmers through the ages – extending the moment captured in this image. With regard to black and white versus the colour version – both attract my eye.